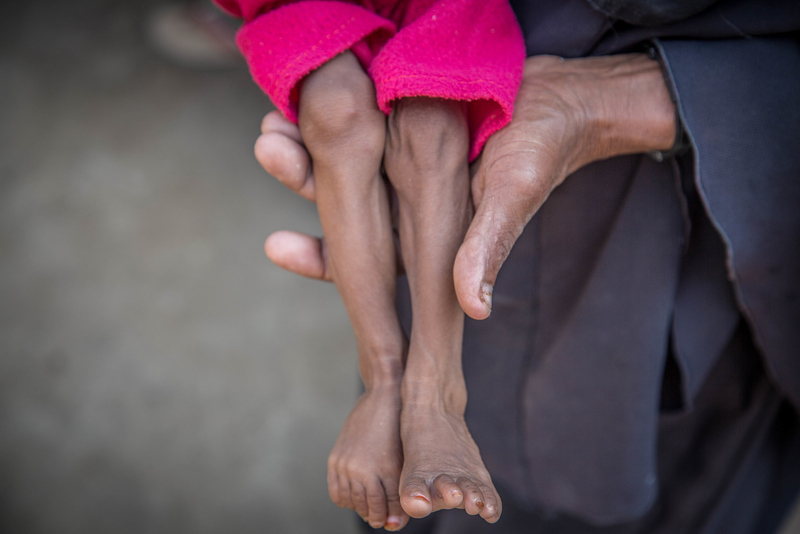 This Child Was Treated For Malnutrition. Months Later, He Might Still Die. "There is no hope,” one aid worker in Yemen told BuzzFeed News. 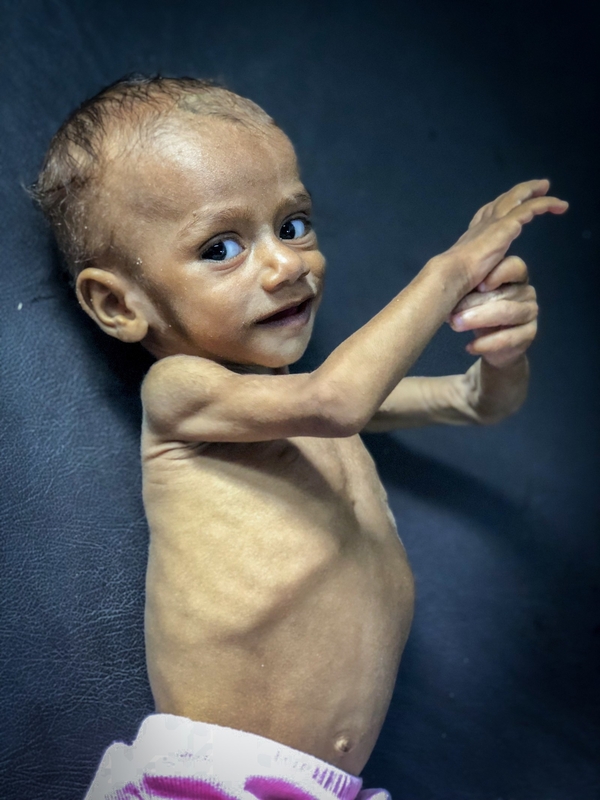 In the 13 months since he was born, Nusair has twice almost died from a lack of food. In August he recovered from severe acute malnutrition, but after his family was forced to flee fresh violence in Yemen in October, he once again had to fight for his life. 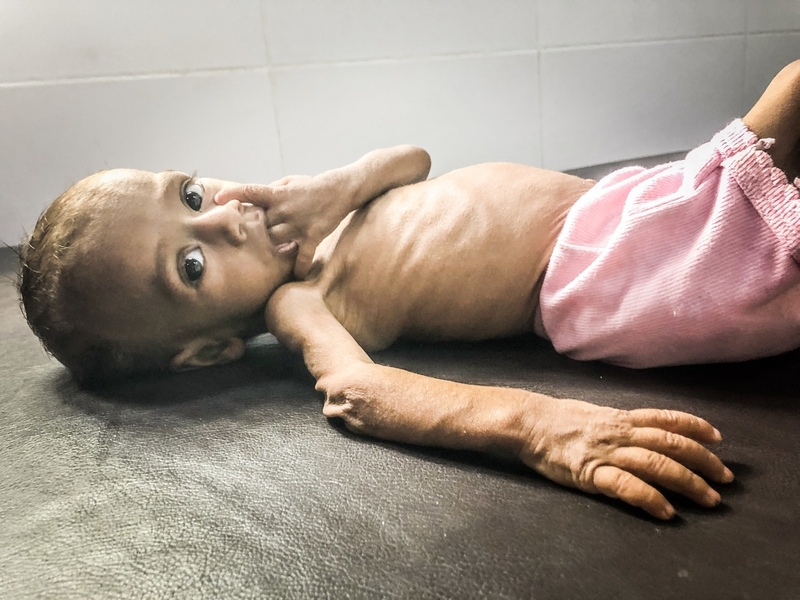 Nusair’s story is terrifyingly typical for families in Yemen, where 85,000 children aged under 5 are thought to have starved to death in almost four years of civil war. The conflict is often dubbed a “forgotten war,” but the civil war and the actions of a Saudi-led military coalition have received more attention following the murder of Saudi journalist Jamal Khashoggi in Turkey in October. In addition to a three-and-a-half-year bombing campaign, Saudi Arabia has imposed economic sanctions and blockades. The United Nations has warned that 14 million people could be at risk of famine in Yemen — already one of the world’s poorest countries before the civil war started in 2015 — as a result. “All of these factors combined has made Yemen a hell on earth for children,” Juliette Touma, Unicef’s Middle East and North Africa director, told BuzzFeed News. A boy stands in the wreckage of a building following a mortar strike in 2016. Children often bear the brunt of this deprivation: The harrowing statistic of 85,000 young children thought to have starved to death since 2015 was called a conservative estimate by aid agency Save the Children, which released the figure. Nusair had been one of the lucky ones — his family managed to get him to a health center supported by Save the Children in August when he first became ill, but by October he had fallen sick again. This time he was suffering from diarrhea and malnutrition because his mother was unable to get him to a treatment facility. The family was forced to flee when armed factions, some allied to the rebel Houthi groups backed by Iran and others to the Saudi-led coalition, began fighting near their home in Hodeidah, Yemen’s fourth-largest city. Hopes for a ceasefire in the region disappeared after Saudi-backed forces and Houthi rebels clashed once again, with reports of at least 10 Saudi airstrikes in the city. 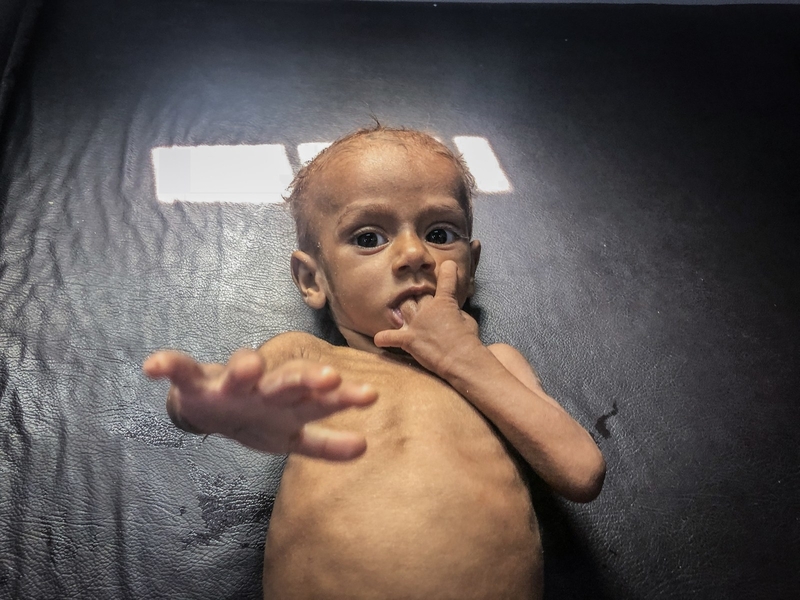 “When we started treating Nusair [in August] he got better, but when the conflict started again, the area that Nusair’s family live in … it [became] a war zone,” Awadh said on the phone from the capital, Aden. He said that when Nusair and his mother fled the fighting, aid workers lost track of the boy. This was the last time anyone from Save the Children had contact with Nusair or his mother. His current condition, and their exact whereabouts, are unknown. Unicef’s Touma, who spoke from Amman, Jordan, said a child dies every 10 minutes in Yemen from preventable causes, including malnutrition.